If you love birds, surely you’ll have kept them, bred them, and are proud enough of them to want to share their beauty as much as you can. 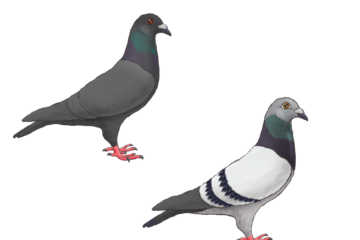 And the best way to do so is through a bird show: an event wherein bird breeders and keepers from different places meet and compete to see whose beloved winged companions are the most beautiful. Once your pet bird’s declared a winner, the trophies will then do the talking.Recently, the Fly High Birds’ Show took place at SM Tunasan, Muntinlupa. 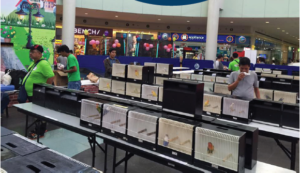 Breeders from as far as Ilocos, Bacolod, Batangas, Pampanga, Cavite, Marikina, Tagaytay, Cainta, Laguna, and other nearby areas came and entered their birds in the competition. There were over 200 entries of different birds. Beautiful finches, parakeets, exhibition budgerigars, African lovebirds 1 & 2, and cockatiels were exhibited. 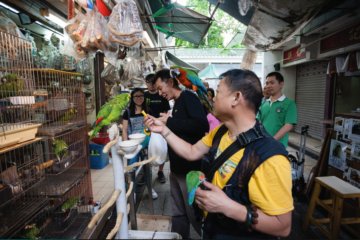 Before the judging started, a mini-seminar about bird keeping and how it can contribute to one’s livelihood and enrich one’s daily life was discussed by the author, a bird breeder with a great passion for birds. Enthusiastic bird lovers listened with curiosity and asked questions, making the seminar more lively and interesting. The judges included the author, Vicente Chin Jr., and Dan Magcalas; they chose the winners of the “Best in…” and first placers for various categories. Winners took home trophies and cash prizes—a surprise for many breeders, as it was the first time cash prizes had been given in such a show. This appeared as “Let Your Trophies Do the Talking” in Animal Scene’s October 2015 issue.